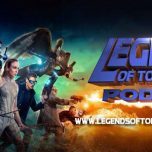 The break is finally over as DC’s Legends of Tomorrow returns tonight after three of our Legends got stuck in the past as Chronos got the Waverider to take off without them. 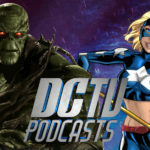 Last weekend, the Legends of Tomorrow Podcast was honored to take part of the DC’s Legends of Tomorrow press room at WonderCon in Los Angeles where cast and crew chatted about what is coming up in the second half of the season. 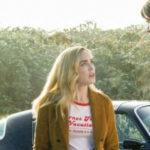 Present at WonderCon were Caity Lotz (Sara Lance/White Canary), Ciara Renée (Kendra Saunders/Hawkgirl), Brandon Routh (Ray Palmer/The Atom), Franz Drameh (Jax Jackson/Firestorm) and executive producer/show-runner Marc Guggenheim. Check out all the five roundtable interviews in video format below as they tease what is coming up in the second half of the season. 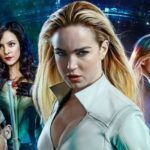 “Official CW Series Description: In DC’S LEGENDS OF TOMORROW, when heroes alone are not enough… the world needs legends. Having seen the future, one he will desperately try to prevent from happening, time-traveling rogue Rip Hunter is tasked with assembling a disparate group of both heroes and villains to confront an unstoppable threat — one in which not only the planet is at stake, but all of time itself. Can this ragtag team defeat an immortal threat unlike anything they have ever known? Catch an all new episode of DC’s Legends of Tomorrow tonight at 8/7c on The CW!